Q. How do I cite a video from a site like YouTube? If you are using an online bibliographic referencing tool, then select to create a reference of type "Video" or "Movie" -- and put in the link. For example, to cite this video on the Numberphile YouTube site -- https://www.youtube.com/watch?v=4Lb-6rxZxx0 -- enter all the details into an online bibliographic referencing tool. Numberphile. 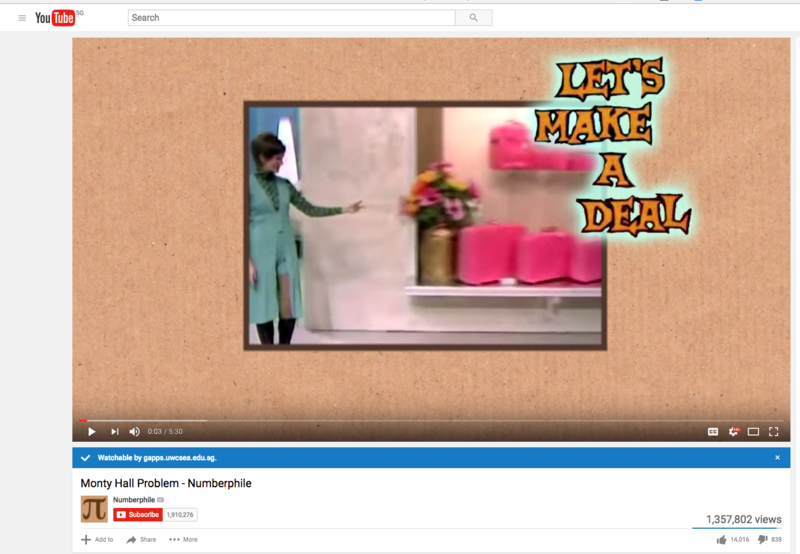 “Monty Hall Problem - Numberphile.” YouTube, 22 May 2014, https://www.youtube.com/watch?v=4Lb-6rxZxx0. Accessed 17 Jan. 2017. A very good explanation of the Monty Hall problem was given by a statistics professor at the University of California Berkeley (Numberphile).